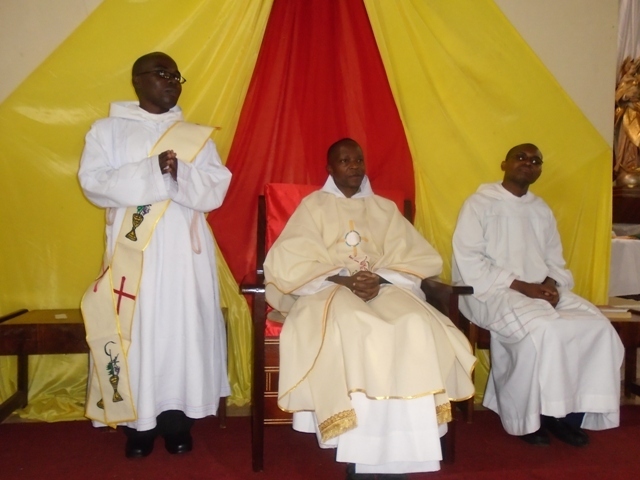 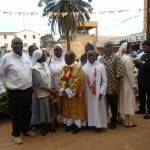 Frater Deogratias Sikazwe, OSB, of Hanga Abbey, Ordained to Deaconate. 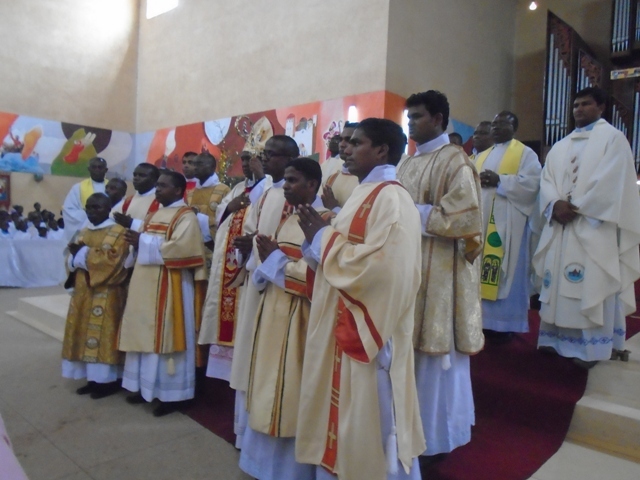 ten men were ordained as transitional deacons. 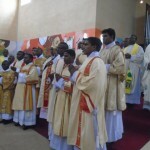 Archbishop Damian Dallu of the archdiocese ordained the men. 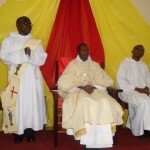 One of them was our own Frater Deogratias David Sikazwe, OSB. 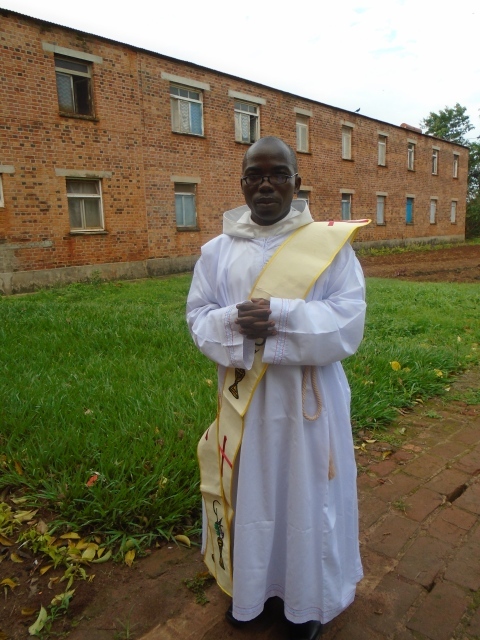 Deacon Deogratias has been attending Theology School at Peramiho Major Seminary. 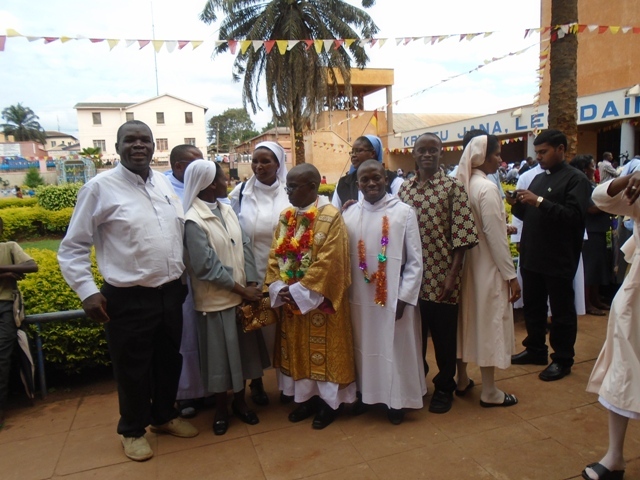 He is originally from Zambia and joined the Hanga Abbey through the daughter house Priory in Katibunga, Zambia. 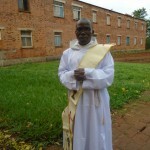 Deacon Frater Deogratias is expected to be ordained to priesthood this year. 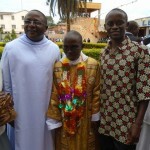 When ordained he will be the third priest from Zambia in our community. 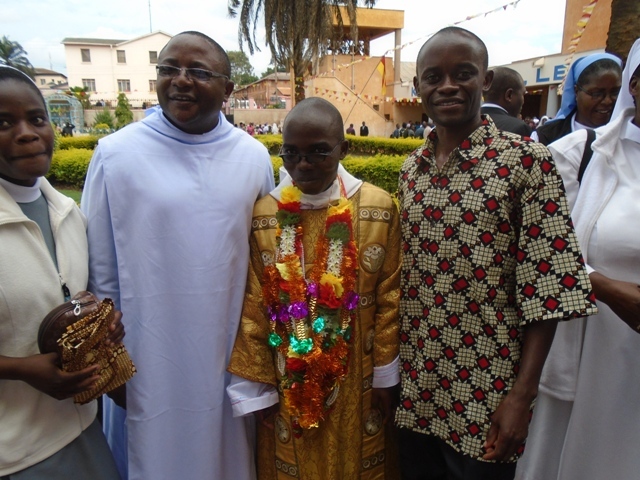 We congratulate Frater Deogratias for his achievement.